The Forty Of The Week has returned! After an unscheduled week off and after naming a few other special features the past couple of weeks, I am back to give you all another FOTW! 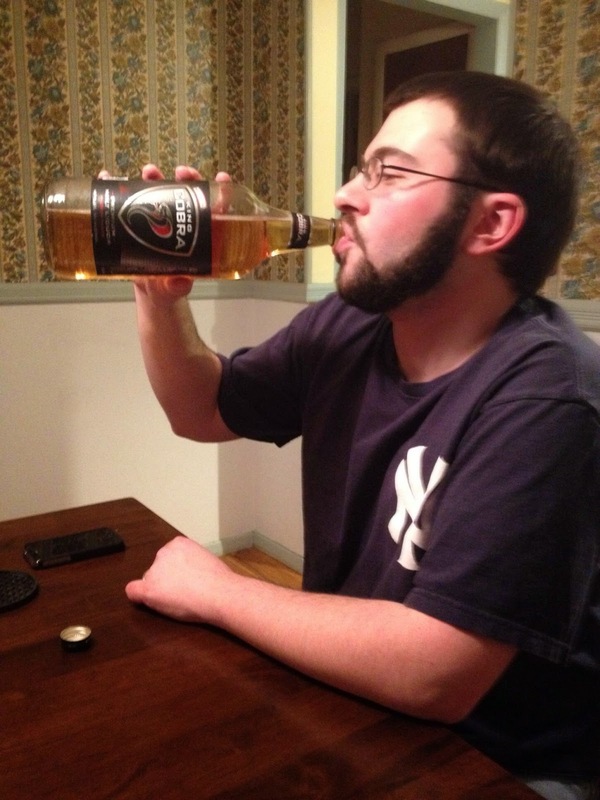 This week we are featuring a forty that was one of the first to get the ball rolling with the expansion of bumwinebob.com to the world of malt liquor. It was just about a year ago that while searching for the right beverage I saw a row of 40's in the cooler at the liquor store. Now anyone who has been with me at a liquor store knows that this is a normal occurrence and I always take my time in making the right decision on what beverage to purchase. It is always a decision that will make or break your night, so you have to choose wisely. I have had 40's in the past, but never really paid much attention to them. This time was different. I knew I was about to embark on a new journey into a whole different world. What better way to start than with the king? 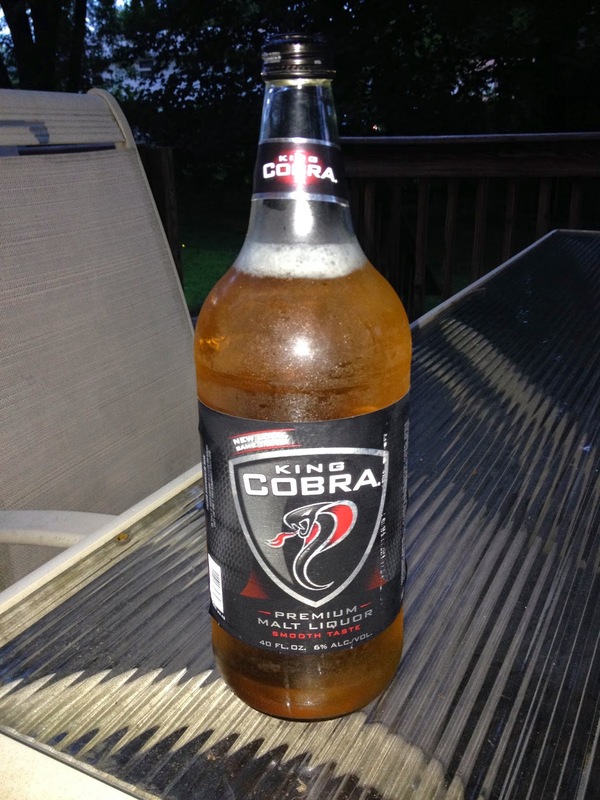 King Cobra. Premium Malt Liquor. New Look Same Taste! Just looking at the bottle you know that you are going to be in for a good night. 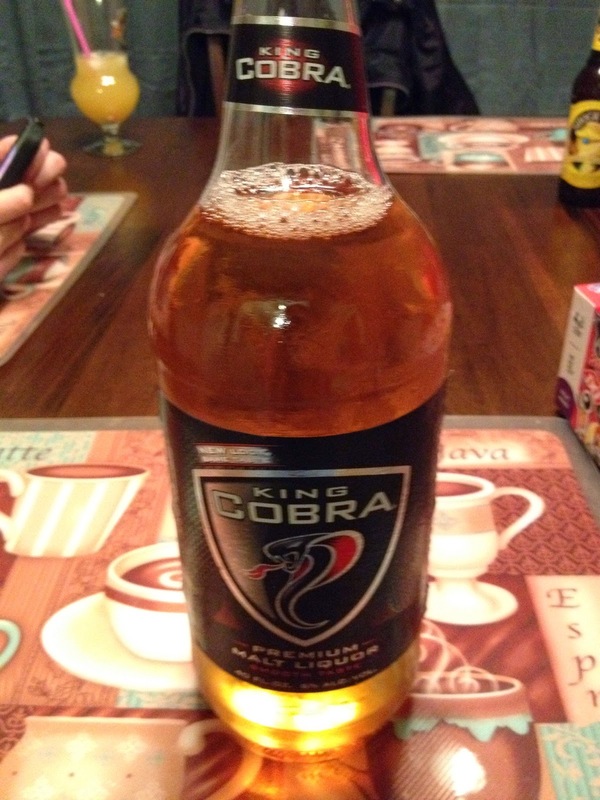 The Cobra on the front of the bottle is just taunting you and ready to spit at you if you don't pick up the bottle and start drinking it right away. The king goes down smooth and will have you feeling fine in no time. A great choice when you are looking to start off a long night of drinking, but don't want to get too crazy from the start. Bow down to the king! Don't forget to join us this Sunday, 4/5/15 at 11AM ET on the Bumming With Bobcat Podcast for the BWB Easter Sunday Spectacular! Getting ready to celebrate another holiday with the family? Start your day off right with a few cocktails and enjoy some some good times before your fun begins. The Booze God himself, @WillieTheWineO will be joining the show. We will be talking WrestleMania and a varety of different drink concoctions. Cheers!